Shopping in Akihabara can be a bit overwhelming especially if you’re not familiar with the area. With tall buildings packing in everything geeky under the sun, it can become tempting to leap into every store that grabs your attention. Once you step foot into the electric town, the number of billboards, maid cafe promoters, and constant promotional messages will continually assault you visually. 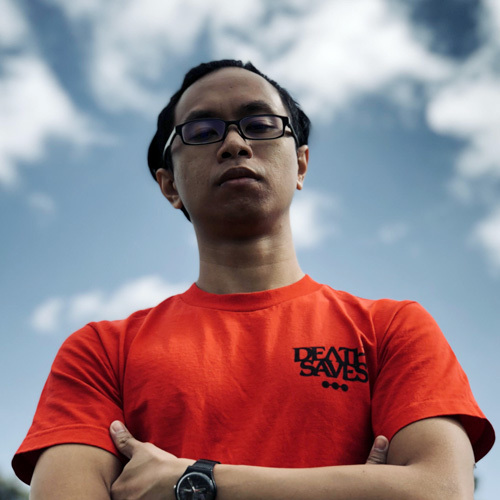 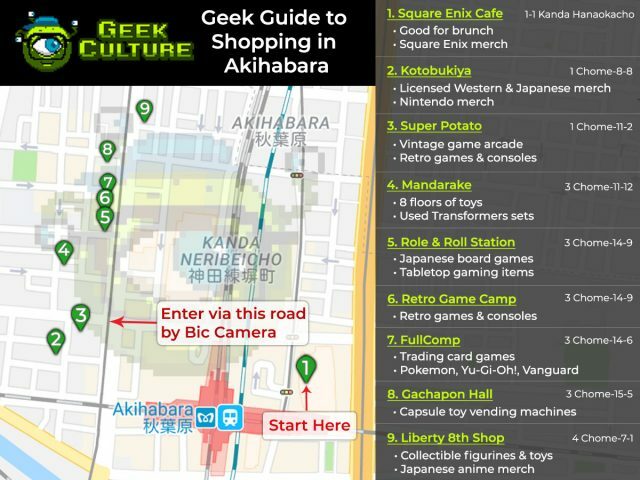 Fret not, we’ve put together a guide to bring you highlights of the area that covers pretty much all aspects of geekdom. 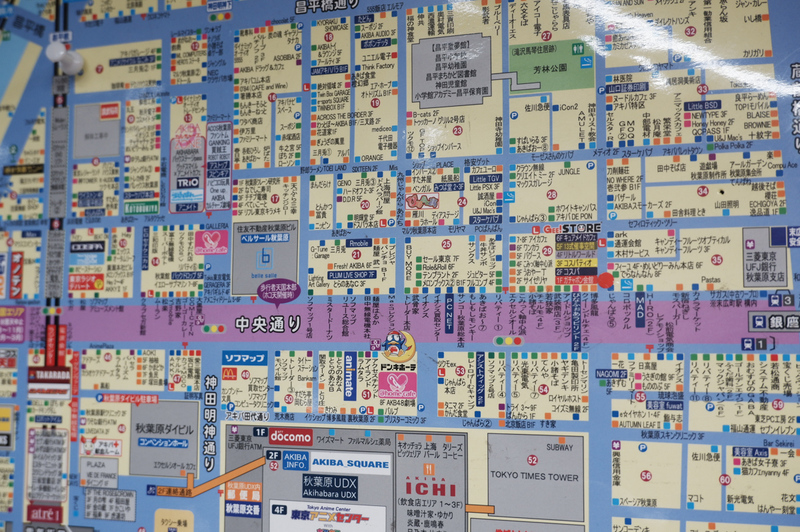 As there are many interesting stores in our guide en route to the highlighted destinations and the most efficient way would be to cater for at least 6 hours to take in all the sights to allow for a quick lunch and also pop into random stores along the way. 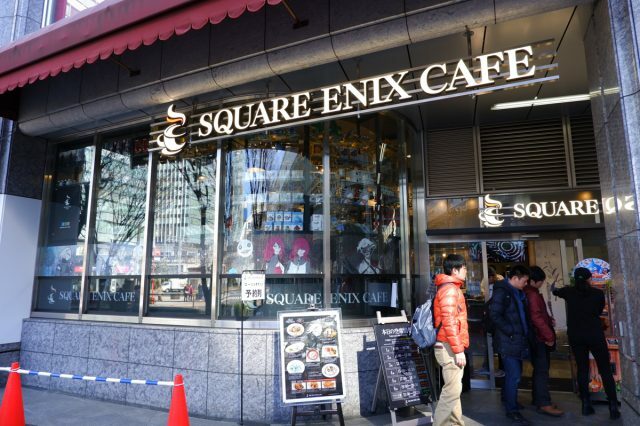 Located right at Yodobasi Camera, the Square Enix Cafe is busy right from the get-go, this makes this an ideal place for brunch or a lite bite before you start your journey. It gets crowded at around 11 am during our last visit which is perfect considering that most stores in Akihabara open at the same time. 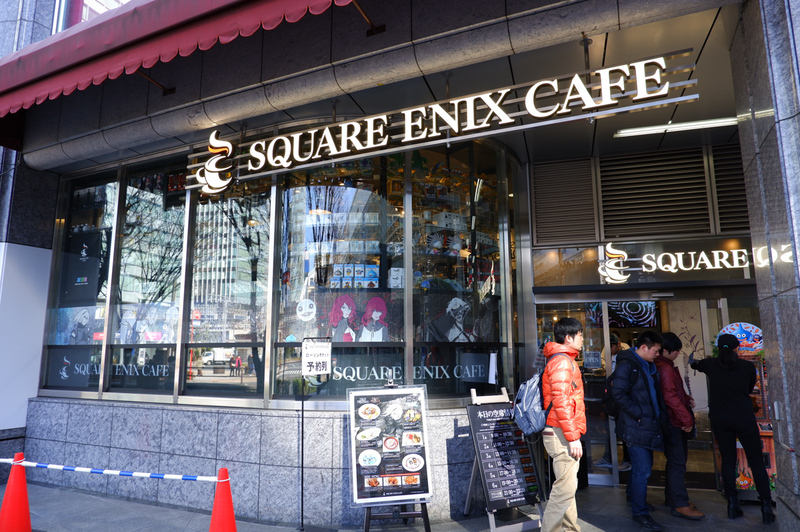 The food is nothing to shout about though the real reason would be to pick up the latest licensed Square Enix merch. 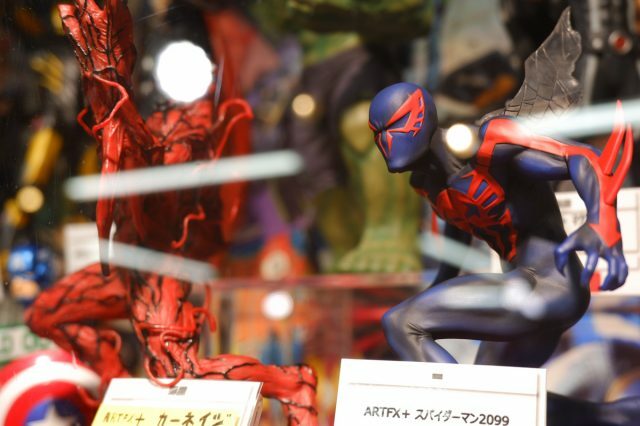 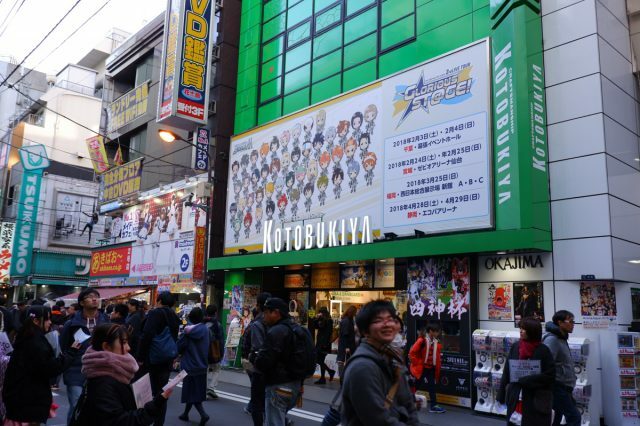 Stepping into Akihabara proper, Kotobukiya should the first stop on your trip as we’ll be starting from the fringes of the town and making a loop back. 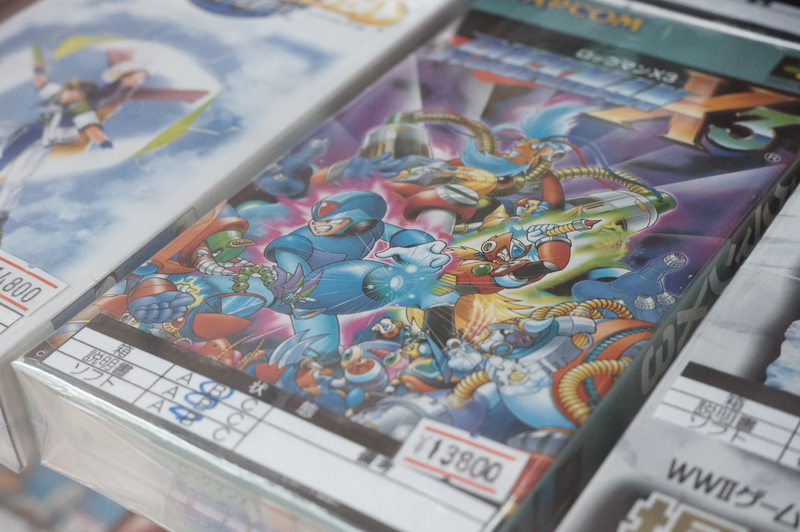 At Koto, you’d find mostly high quality licensed stuff of most western and Japanese IPs. 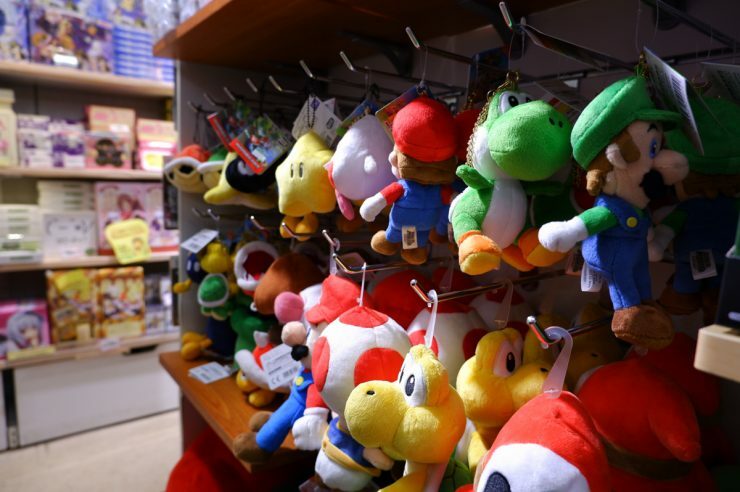 If you’re a Nintendo fan, this is the place to go. 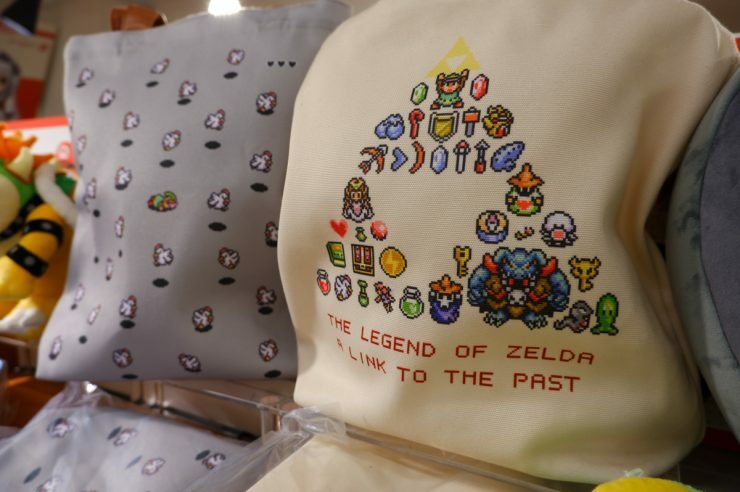 Be it Mario, Kirby, Pokemon, Legend of Zelda, you’d want to drop by here first. 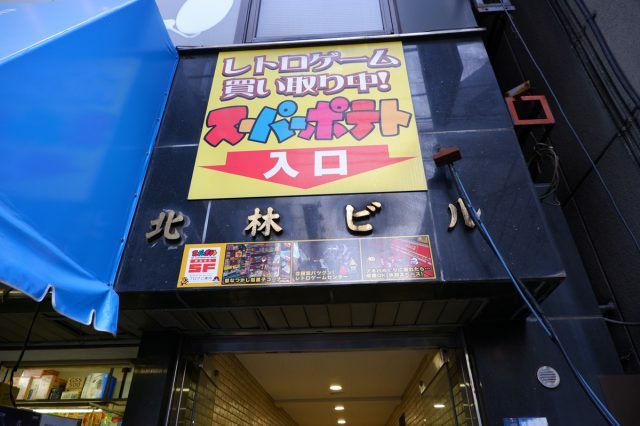 After stepping out the Koto, turn left and hang on the right path. 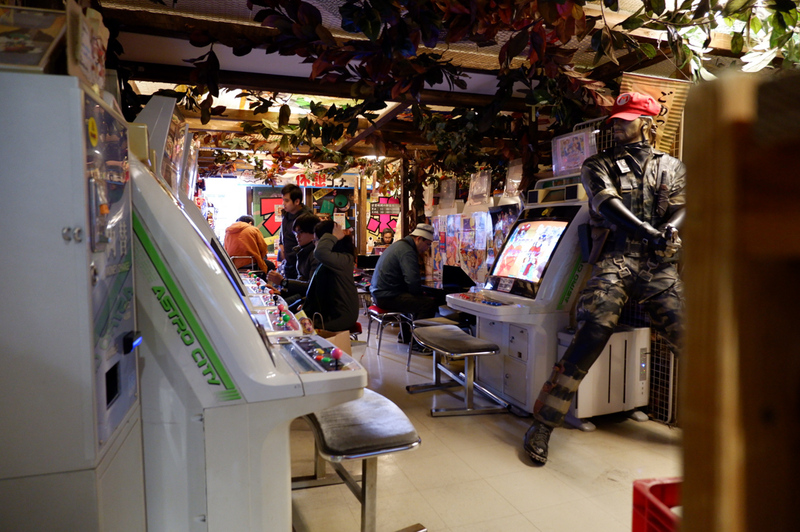 Super Potato is located in the middle of two buildings and it’s easy to miss if you’re not on the lookout. 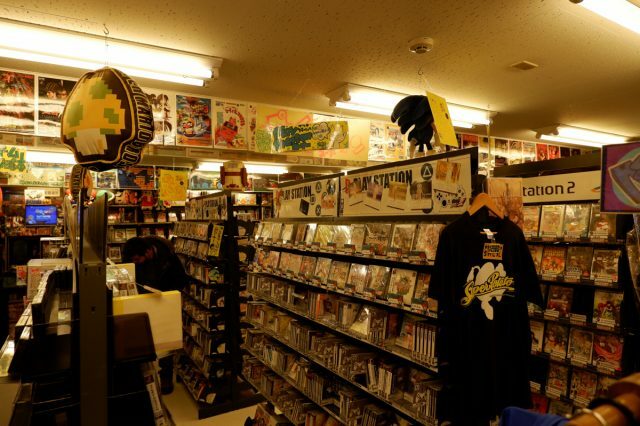 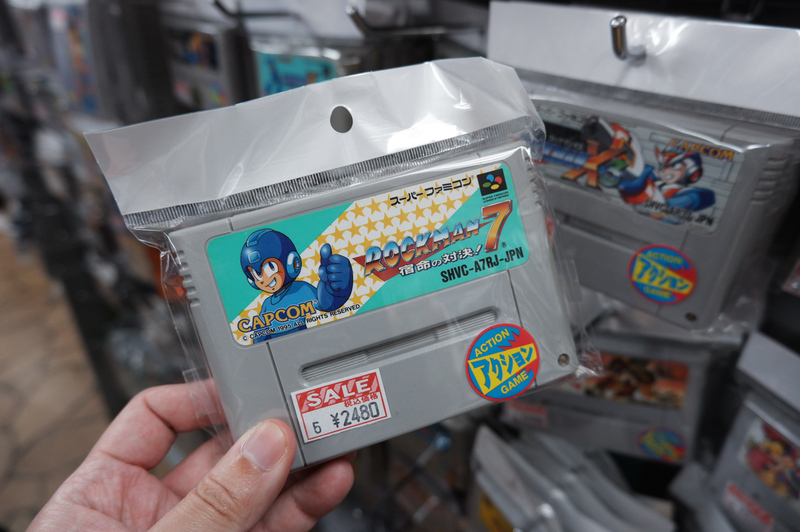 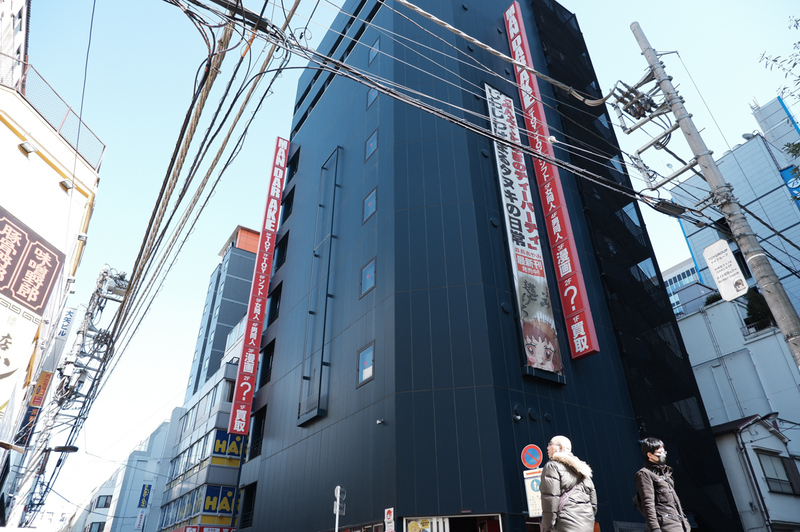 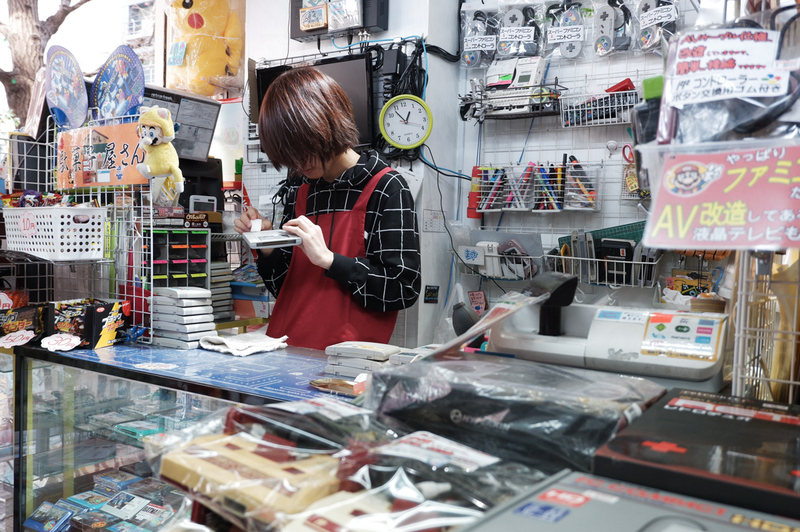 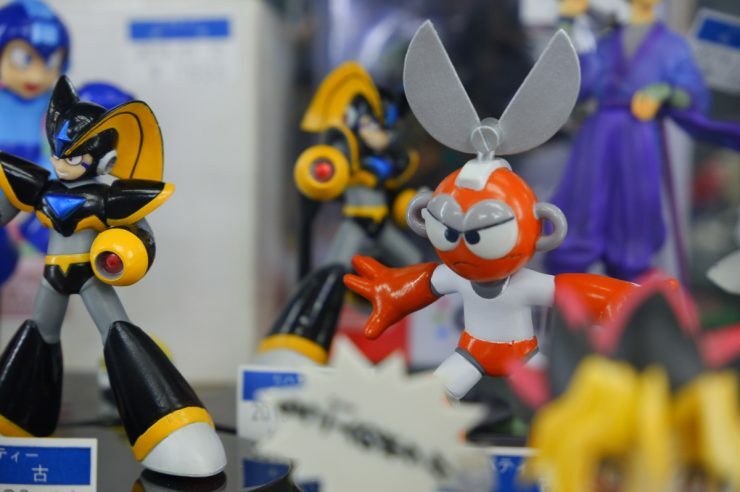 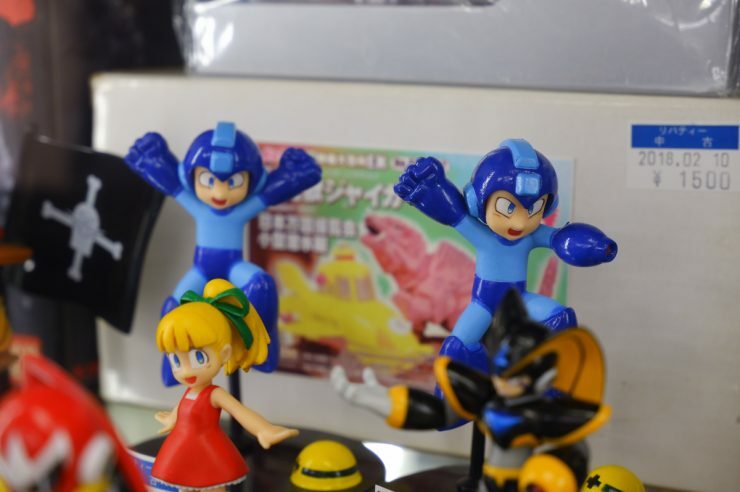 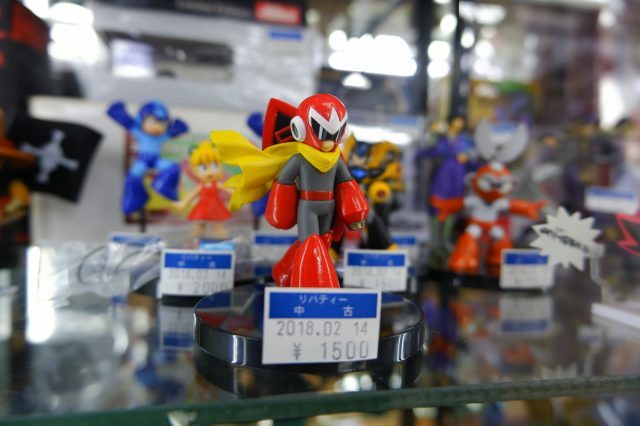 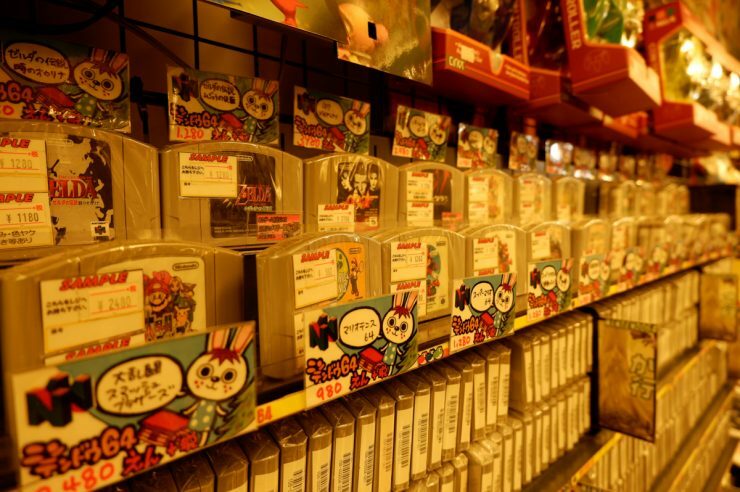 Super Potato is like an establishment of Akihabara and the go-to place for all retro games. 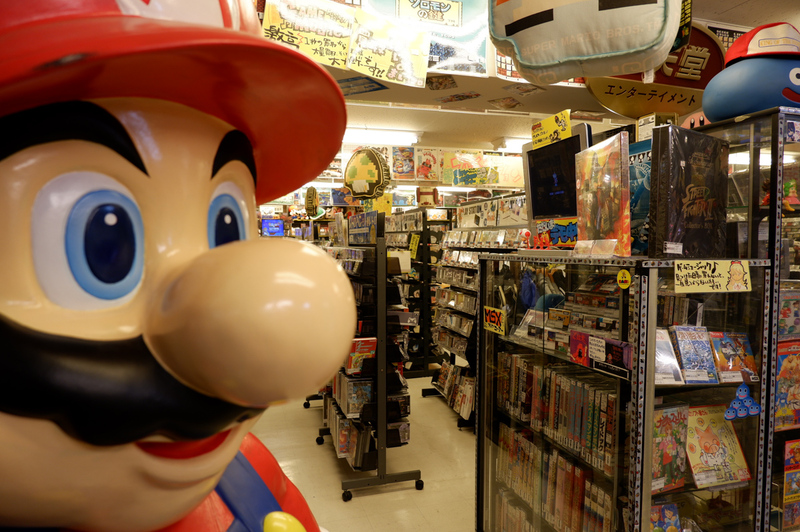 It’s great to pop in here if you’re looking to give a history lesson to junior geeks. As the place has been around for quite some time now, the layout still has remained pretty much the same – cramped and dimly lit. 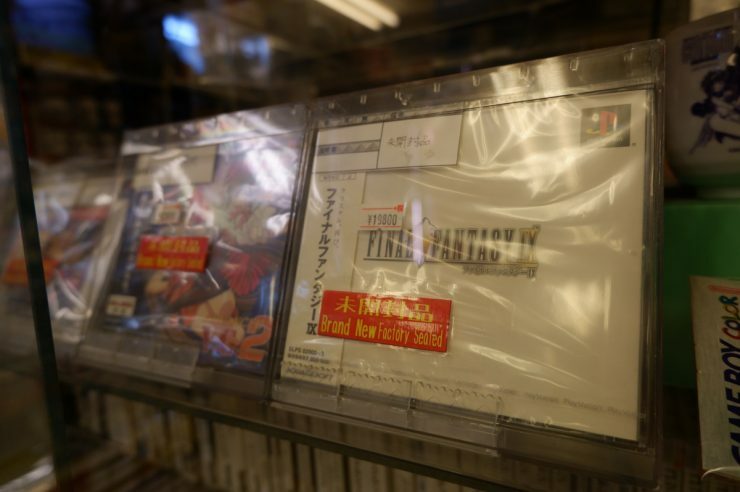 This makes hunting for your white whale all the more satisfying if you’re able to locate it amongst this video game labyrinth. 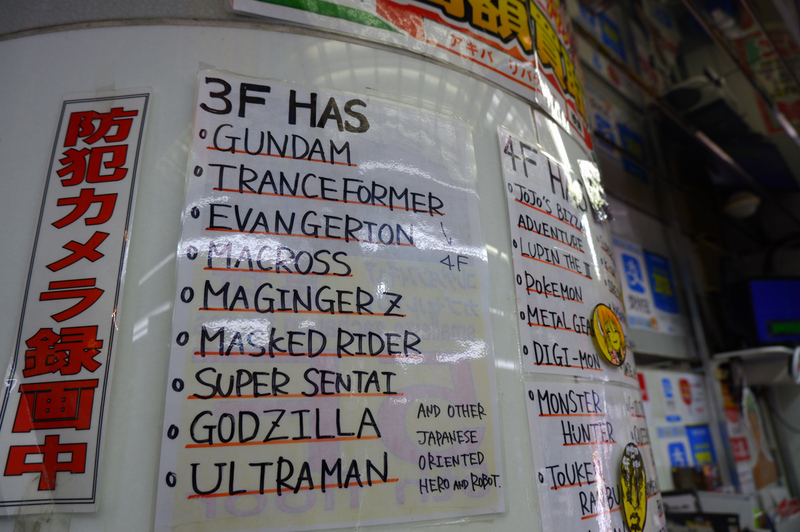 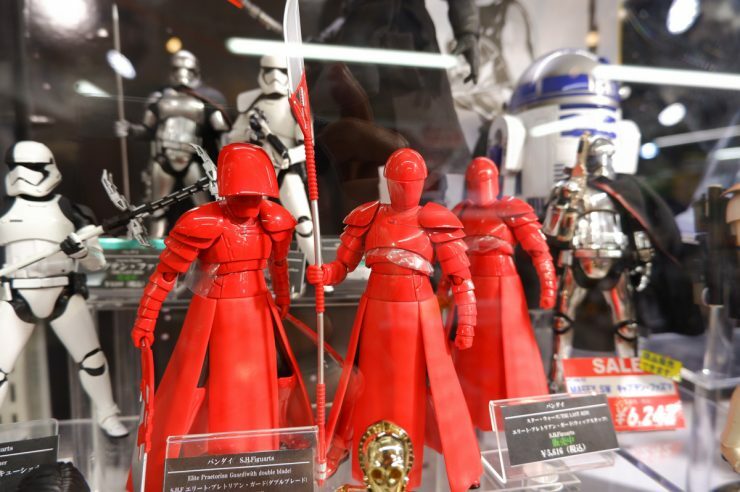 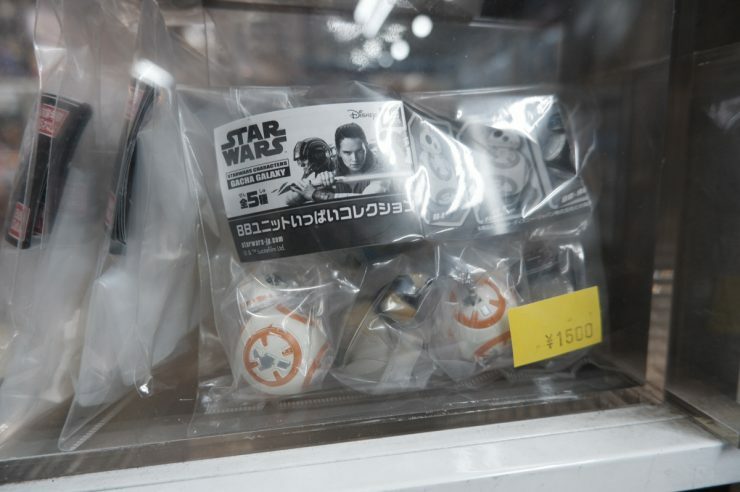 We’re back to toys now and Mandarake’s concept is pretty much similar to how most of Akihabara is run. 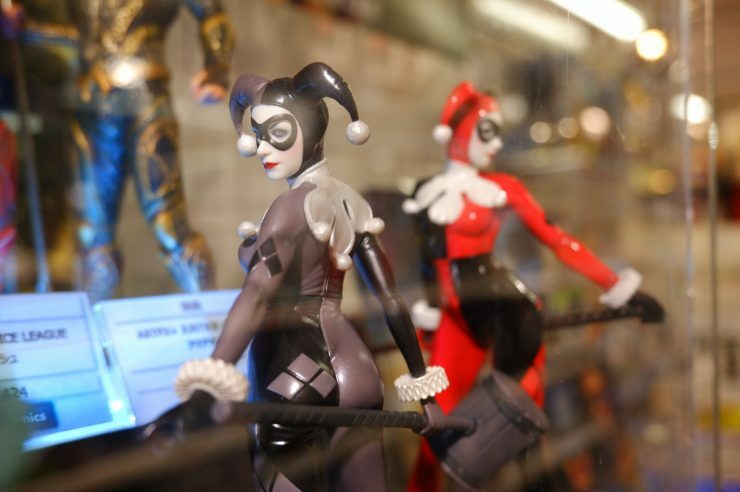 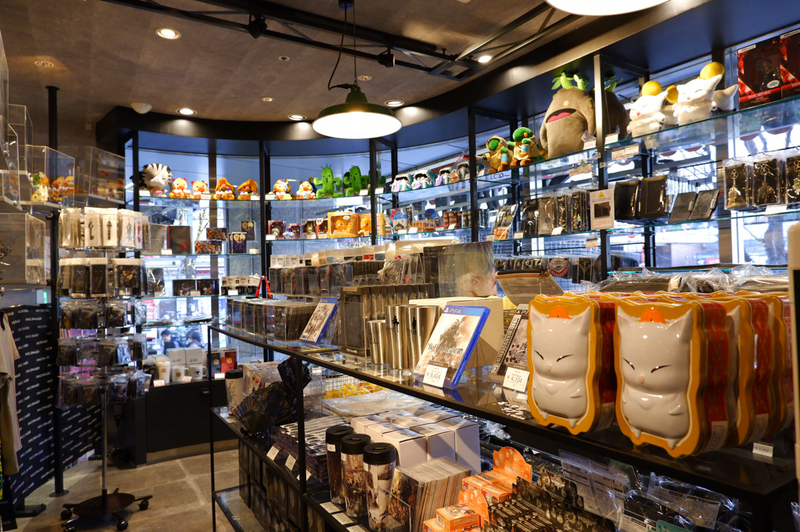 Each floor with have a specific specialty and Mandarake has eight floors that covers all of geekdom. However, that scope is pretty hard to nail down so you might be a superficial taste of what to expect for the rest of Akihabara. 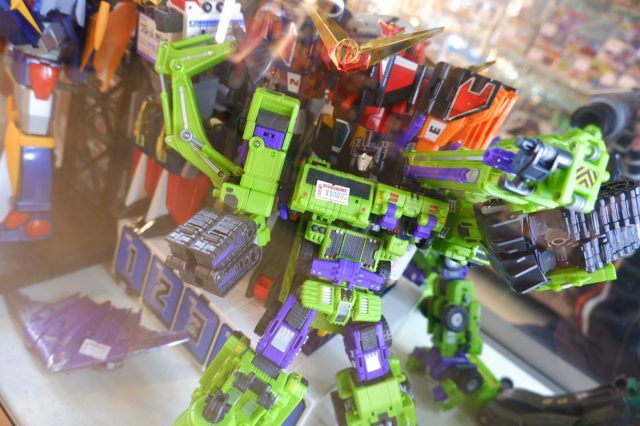 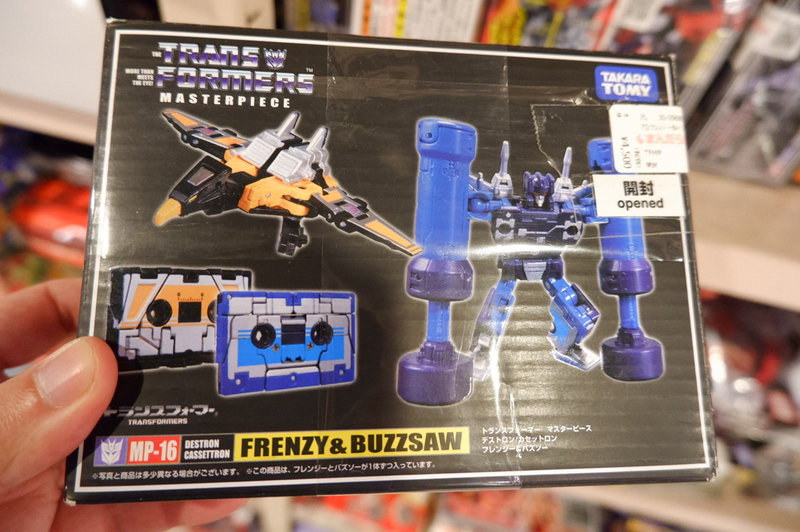 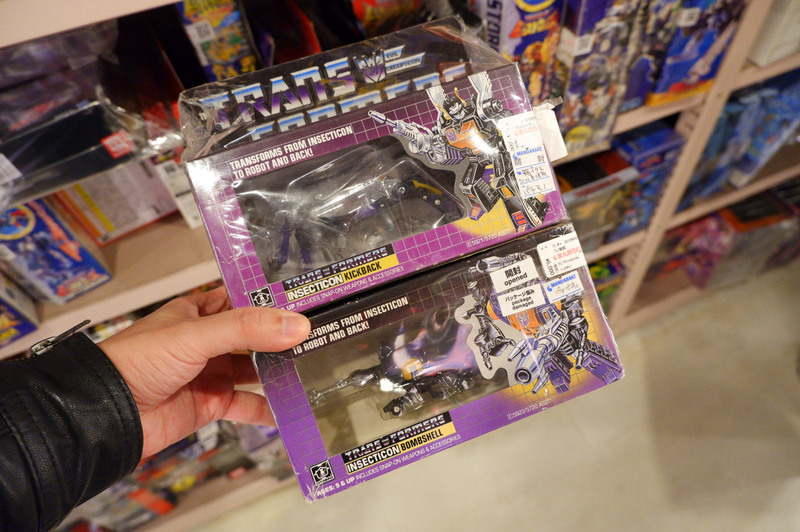 If you’re into Transformers, this is one of the best places to be as they have used Transformers for sale. 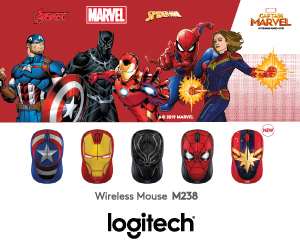 Depending on your luck and budget you could nail down pretty awesome sets at great prices if opening up those toys for display is high when it comes to toys. 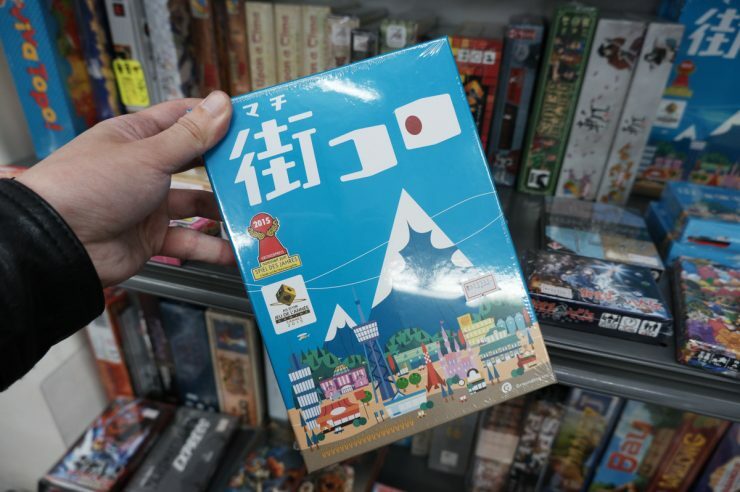 Japanese board gaming? 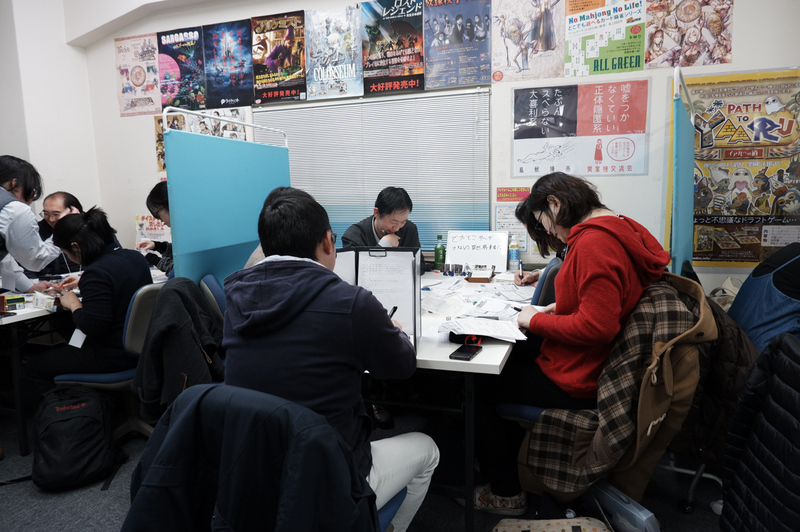 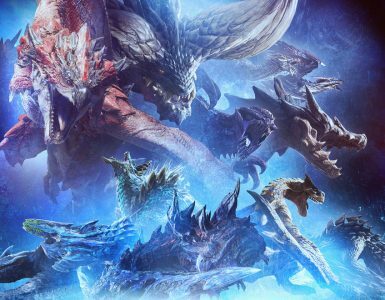 Yes, that exists right here as well and like around the world, board gaming is seeing a resurgence in Japan as well. 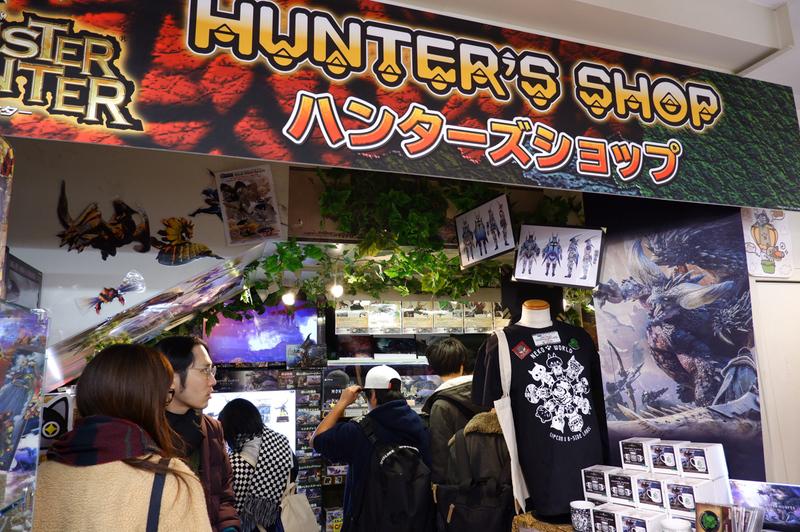 Unfortunately, most of the items here are in Japanese but you could always pick up some dice and see how the community operates in this part of the world. 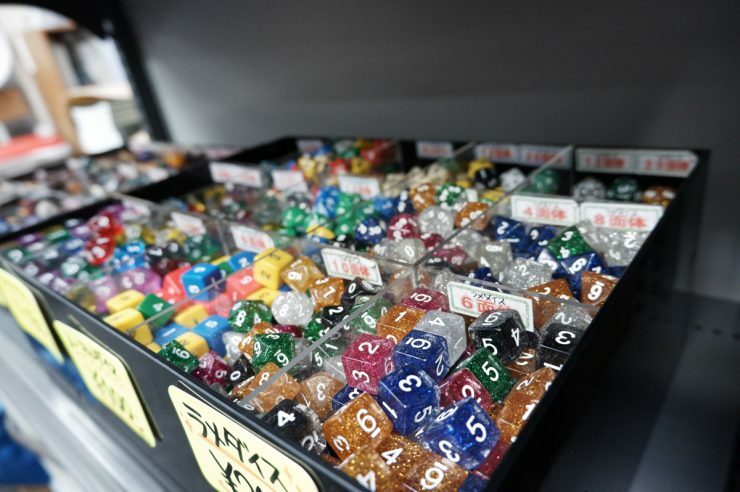 We might speak different languages, however, our common love for hobbies will be the bridge that brings us together. 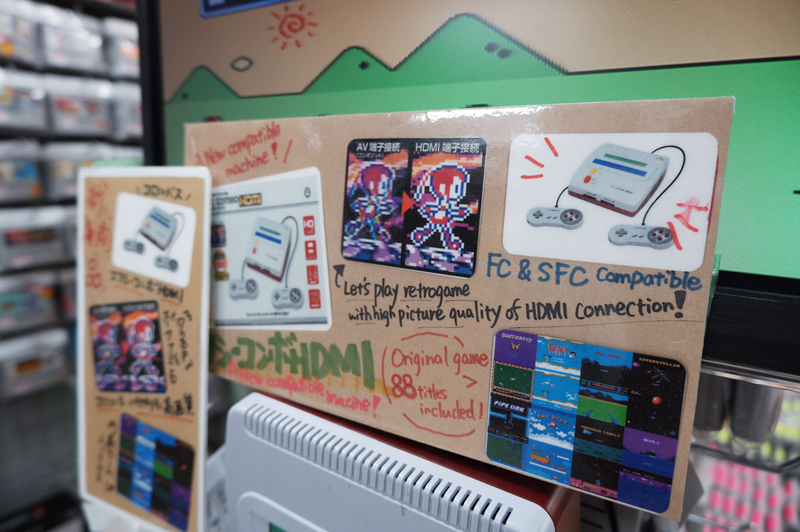 Similar to Super Potato, Retro Game Camp specializes in the sale of retro game as well. Compared to the more established outfit, Retro Game Camp is nicely lit and easy to navigate. If Super Potato didn’t have the title you were looking for, these guys might. 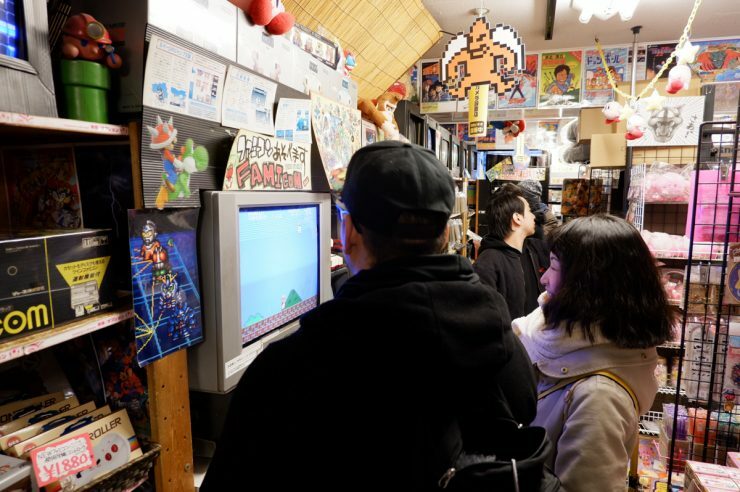 Do note there are two locations for Retro Game Camp in the same area, one above ground and another below ground. 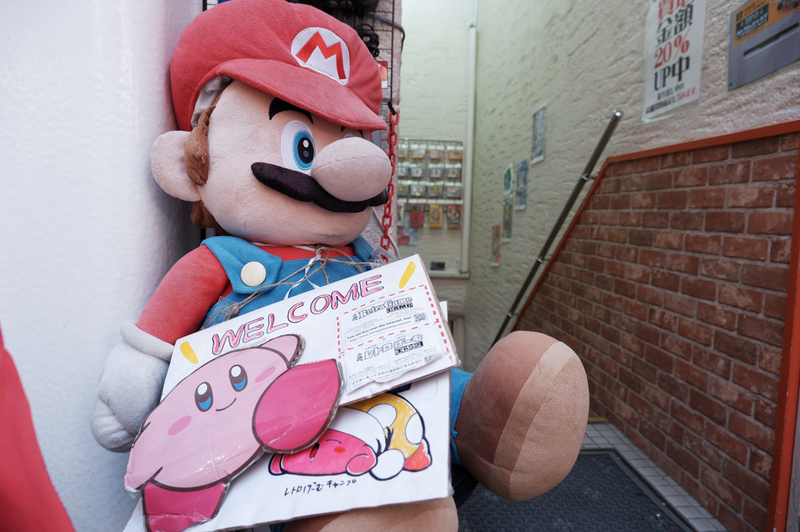 Make sure to visit both to ensure you leave no stone (or cartridge) unturned. 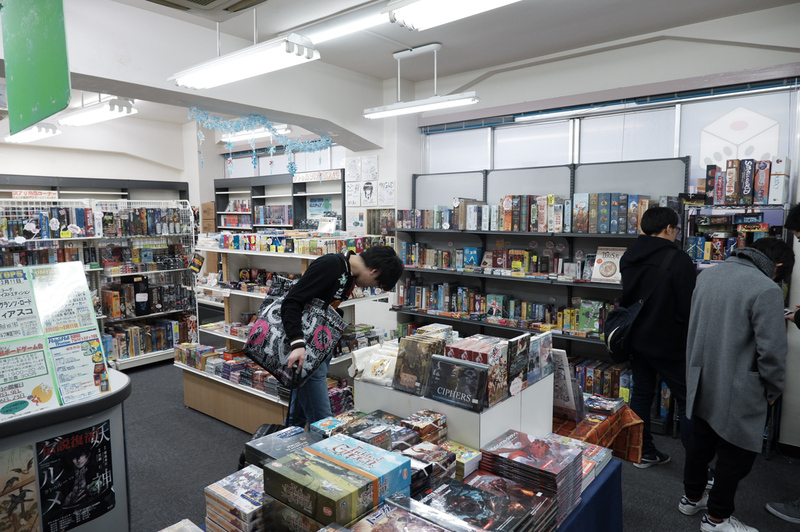 If you’re a trading card game enthusiast, this is the place to be. 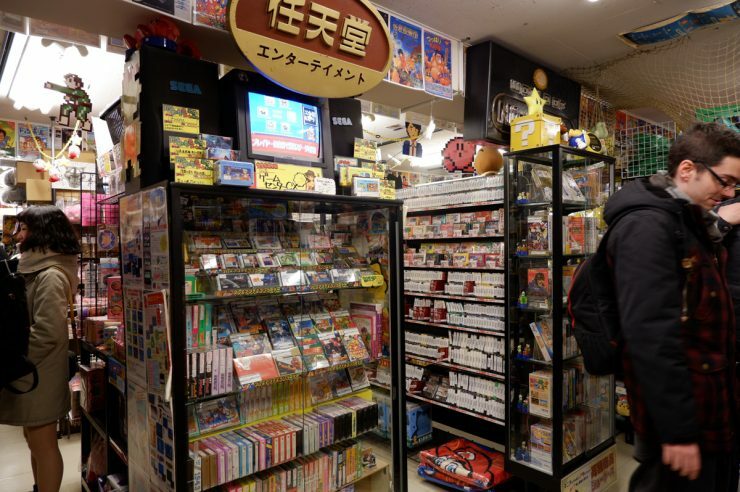 Stocked primarily with Pokemon, Yu-Gi-Oh!, and Vanguard, FullComp has nicely stocked and display shelves for your viewing pleasure. 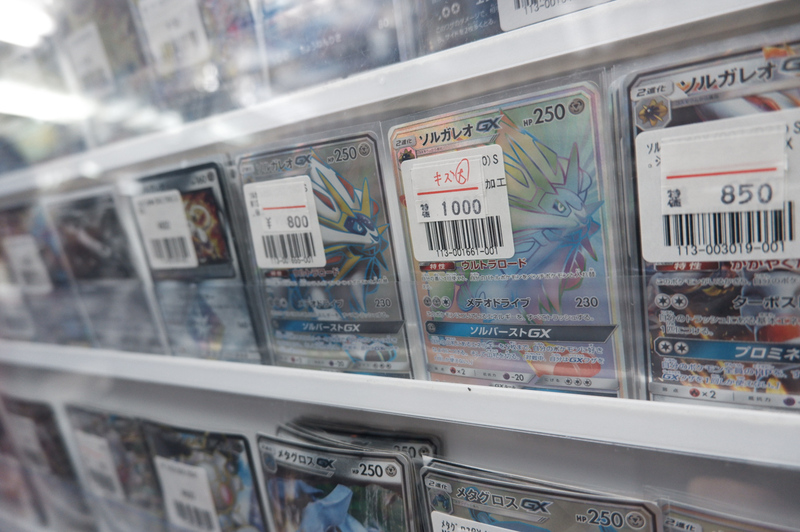 With all cards nicely labeled with a price tag, there’s no worry of getting ripped off. 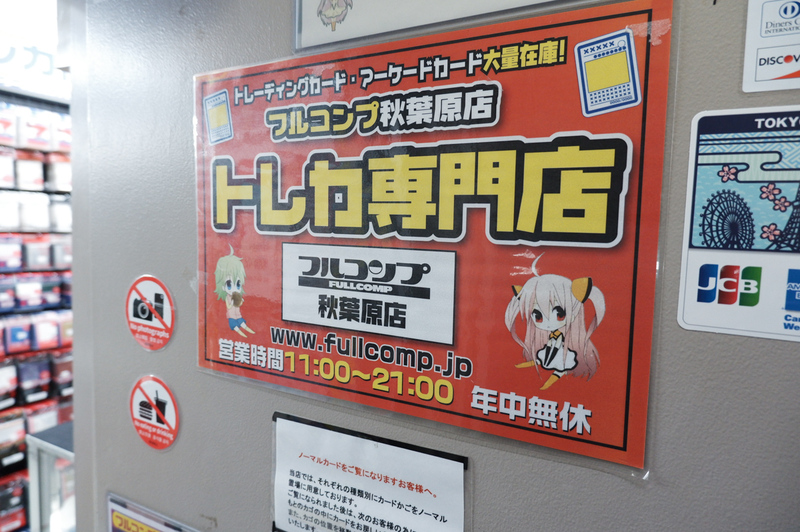 It’s interesting to see how TCGs are doing in this part of the world. Then again, Japanese pumps these games out by the dozen. 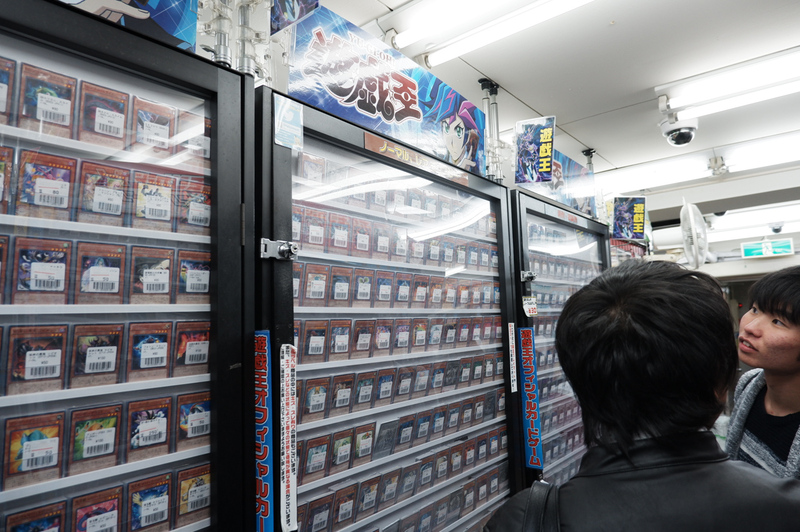 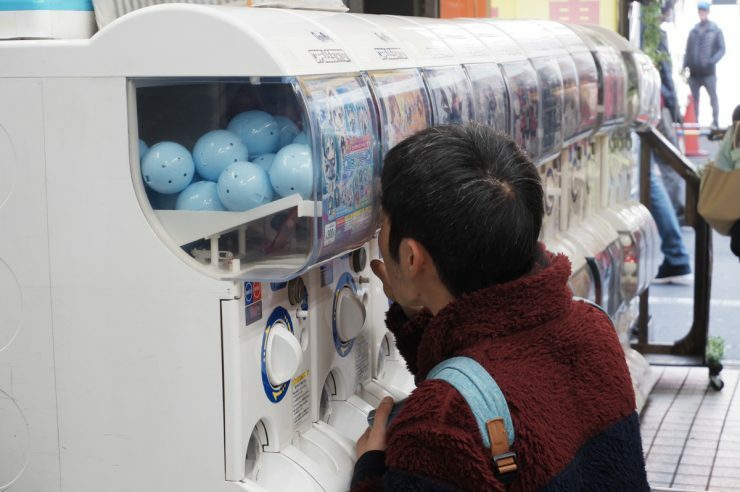 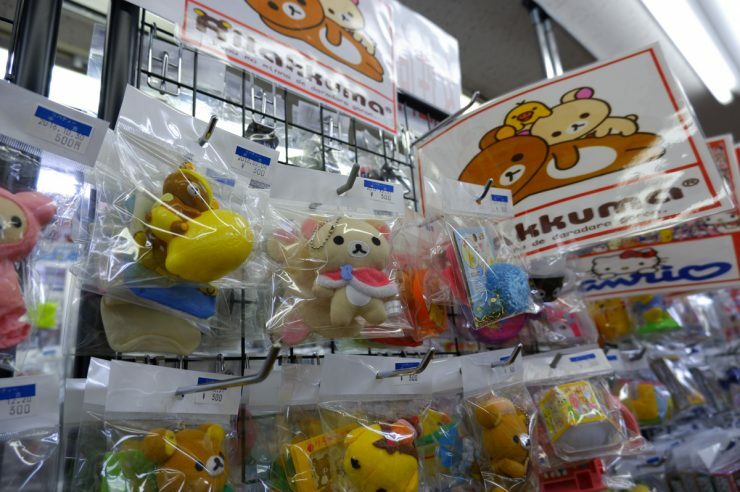 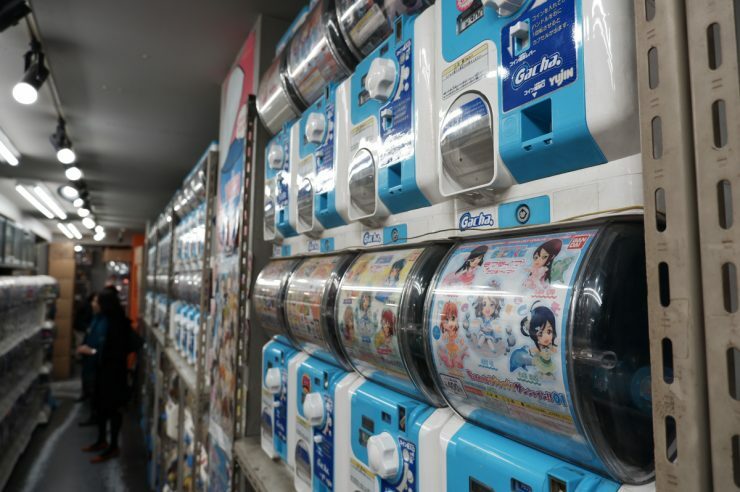 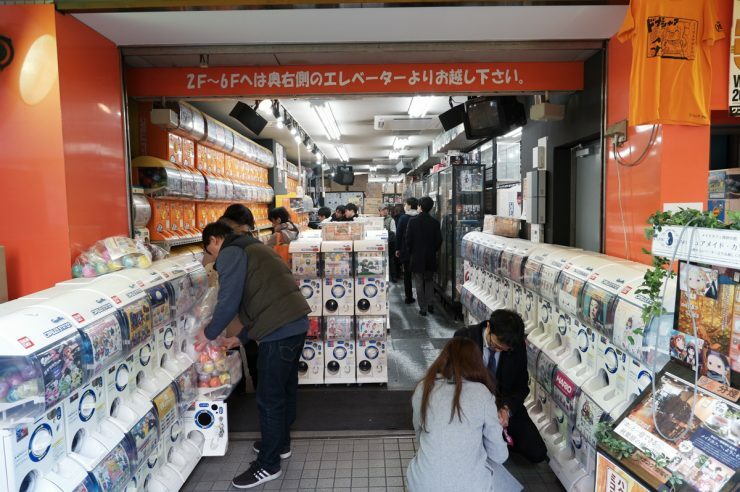 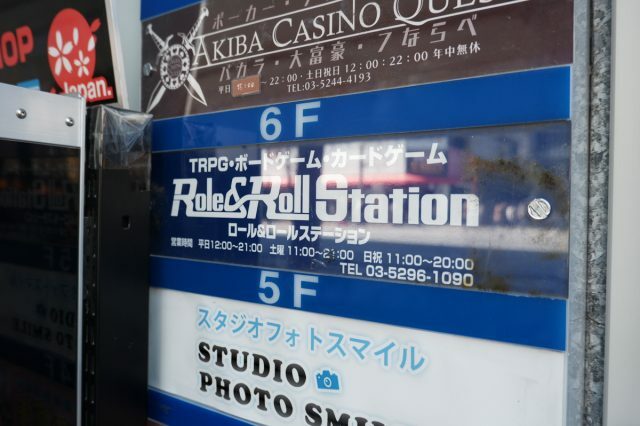 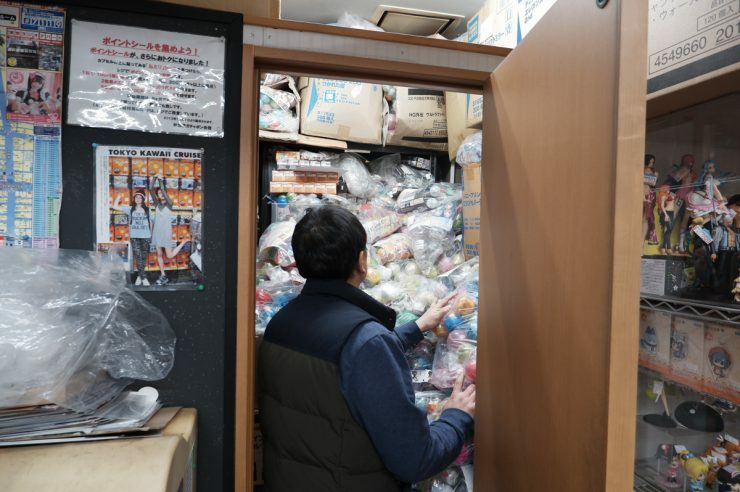 With some spare yen in the pocket from all your buys, perhaps it might be time to pop into one of the better concentrated Gachapon spots in Akihabara. 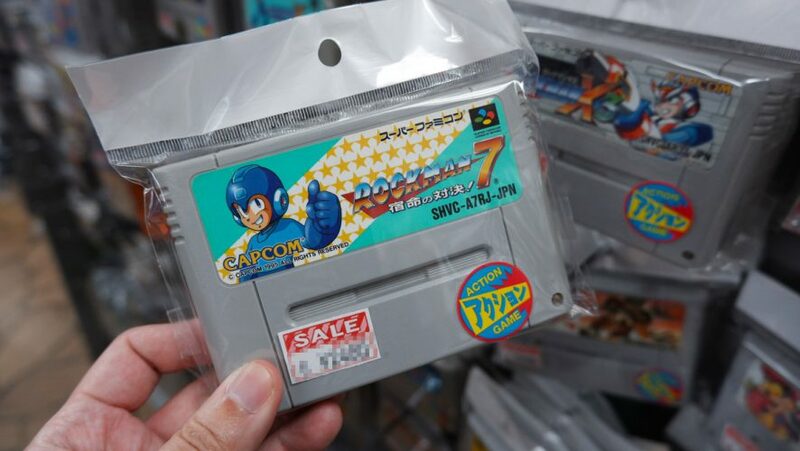 While your luck may vary depending on how well the RNG gods love you that day, there’s always a chance to pick up the item you’re looking for off the shelves directly. 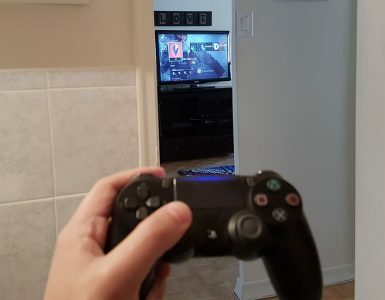 At a premium of course. Rounding up our loop of Akihabara is another store that resembles Mandarake, with a few Liberty stores along this stretch back towards the train station, it’s good to pop into each depending on what’s your jam. 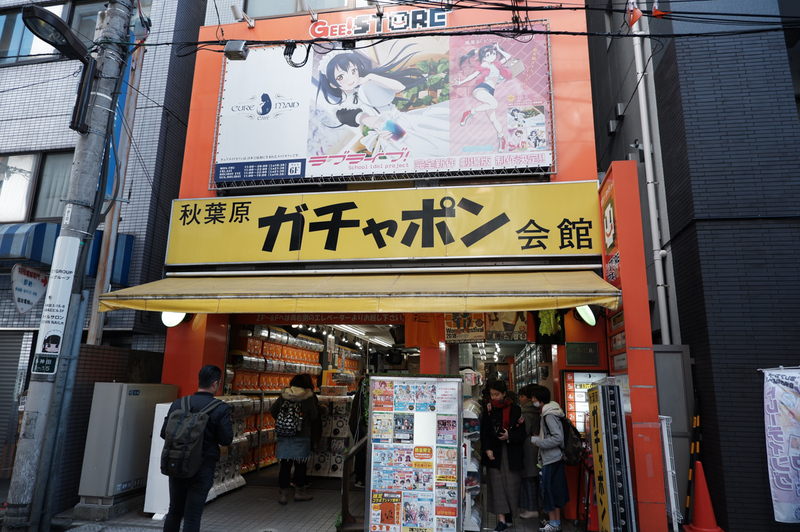 Liberty 8 isn’t as well stocked as Mandarake but it has a good variety of items that other stores might not especially if you are into Japanese figurines and the like. 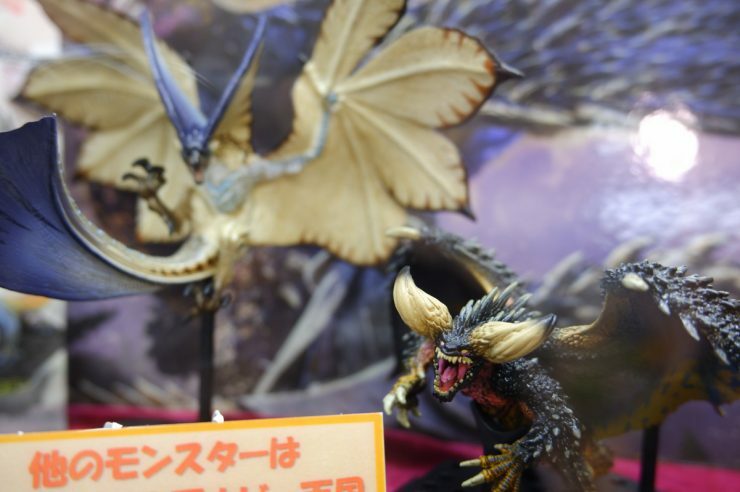 There are certainly even more stores to check out at Akihabara especially those that deal in modern video games. 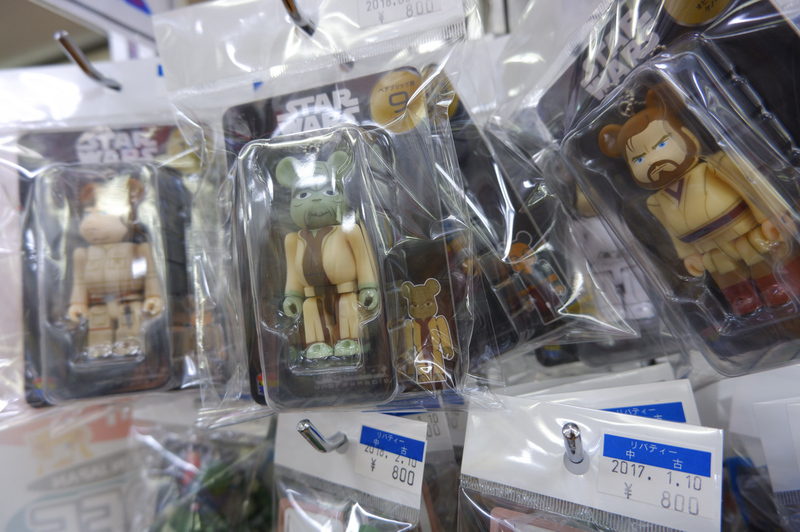 However, those feel somehow overly transactional and really lacks the soul of what makes this place really special for us geeks. 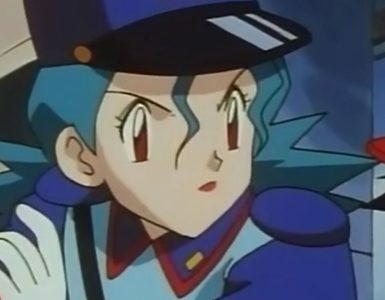 Some people really just want to catch 'em all.